The appointment of GSK veteran Arnaud Breabout to the position of Senior Vice President and CFO of Mundipharma took the top spot this week. Meanwhile MHRA chief Dr Ian Hudson announced he was stepping down. Equally as Brexit inched ever closer it was revealed that use of antidepressant had gone up in the month following the referendum. At the same time, the ABPI responded to Theresa May’s new deal. In the wake of the midterms in the United States, American firm Pfizer asked Senator Cindy Hyde-Smith to refund campaign donations after the Republican joked about ‘public hanging’ in her home state of Mississippi. 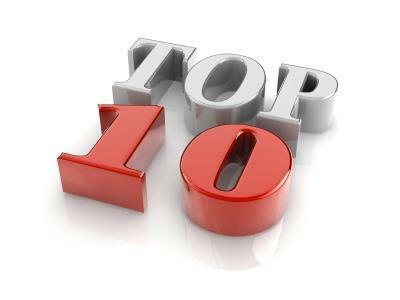 Check out this week’s top 10 most popular stories on Pharmafile.com! NICE has announced its recommendation that Novartis’ CAR-T cell therapy Kymriah (tisagenlecleucel) be made available in the treatment of relapsed or refractory B-cell acute lymphoblastic leukaemia (ALL) for patients under the age of 25 via the Cancer Drugs Fund. Generic drugmaker Mylan has received a warning letter from the FDA over concerns surrounding the firm’s manufacturing plant in West Virginia. AstraZeneca has revealed that its immunotherapy combo of Imfinzi (durvalumab) and tremelimumab failed to meet its primary endpoint in a recent Phase 3 trial in the treatment of previously untreated patients with Stage IV (metastatic) non-small cell lung cancer (NSCLC). American pharma giant Pfizer have asked Mississippi Republican Senator Cindy Hyde-Smith to return campaign donations after the candidate was filmed joking about attending a “public hanging”. The result of the Brexit referendum led to an increase in prescriptions for antidepressants, according to a study conducted by researchers at King’s College London. The Medicines and Healthcare products Regulatory Agency (MHRA), the regulator responsible for the efficacy and safety of medicines in the UK, has announced that its Chief Executive is to step down from the role in September next year. Eli Lilly’s Emgality (galcanezumab) has secured approval from the European Commission for the prophylaxis of migraine in adult patients who have at least four days affected by the condition per month, it has emerged. The Mundipharma network today confirmed the appointment of Arnaud Breabout, to the position of Senior Vice President & Chief Financial Officer.